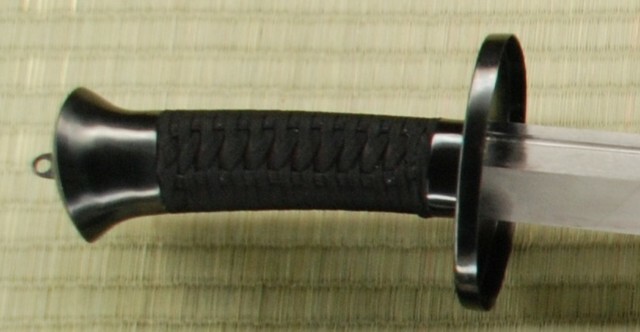 The Practical Gongfu Broadsword sword is a further extension of the "Practical" Series. Featuring a distal-tapered high carbon steel blade, wrapped grip and steel fittings, the saber is a traditional ox-tail design. The textured wooden scabbard is designed with a slotted opening, which makes both for easy sheathing and graceful lines. In line with other swords in the "Practical" series, the Practical Gongfu Broadsword is very affordable.